ALL surf trunks 30% off !!! we WILL be open x-mas eve until 6pm for all of your last minute gift ideas. and be safe out there ! Can’t think of that perfect gift ? NEILSON SURF SHOP gift certificates available in any denomination! the gift ideas just keep coming ! Sweatshirts with a hood or with out a hood. you have the option ! the shop is open 7 days a week ! Neilson boards –BUILT TOUGH ! 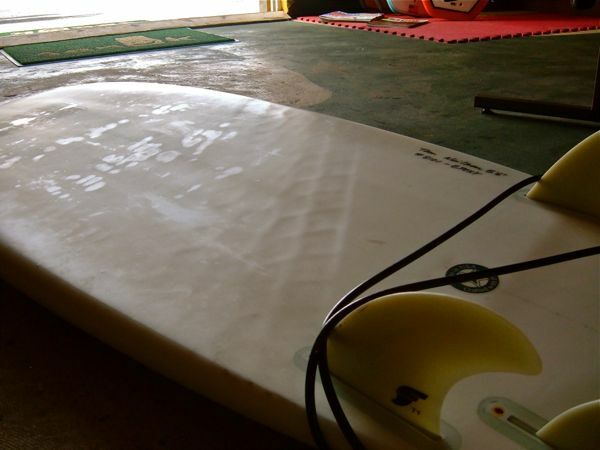 just a couple of tread marks later…the board WINS ! NEILSON SURFBOARDS are always built TOUGH !! **please don’t try this at home !! !